You may not want to miss once a rich house of a Gyumretsi trader, and nowadays one of the most attractive and a must visit museums in Gyumri. 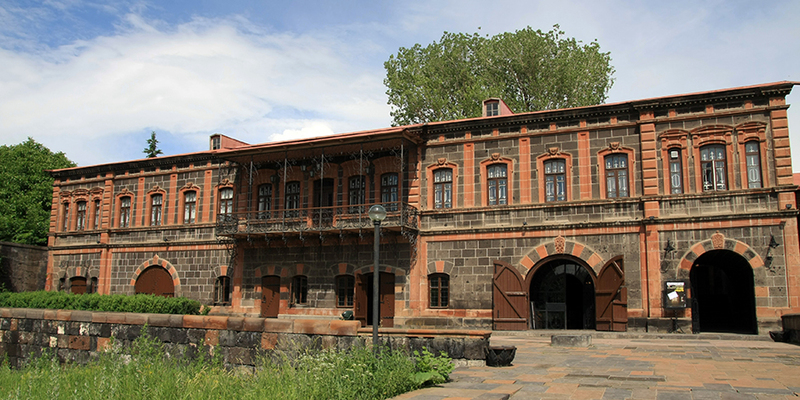 The museum is an old mansion, housing collections related to both history and the everyday-life of Gyumri as well as the local cultural and architectural characteristics of the city. 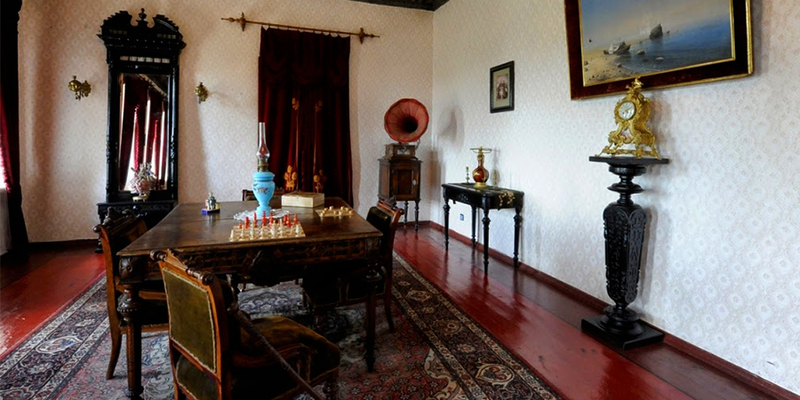 The famous house was built by a first class and rich trader, Petros Dzitoghtsyan in 1872. The 4 brothers originally from Western Armenian village of Dzitogh, migrated to the city of Alexandropol. It is built with the famous indigenous red tuff stone of Shirak. The architect of the building came up with a very smart solution to build the house on a splay. The eastern part is one floor, while the western has two floors. The building did not suffer even minor damages during the 1926 and 1988 earthquakes. During the Soviet rule the mansion served for public purposes and long time until 1980 more than 20 families were living there. In 1984 the Museum of National Architecture and Urban Life was established and located in this building. The vaulted interior ceilings, the traditional rugs and other decorations are well worth seeing. The museum is divided into two sections: the first room displays an exhibition of photographs of famous people. Among them are photographs of Margaret Thatcher, Ronald Reagan and Jacques Cousteau. You can also see furniture in the rooms of the Dzitoghtsyans: the piano brought from Italy and other pieces of furniture brought from Russia and Europe. The exposition is remarkably rich, highlighting the exceptional mastery of the local craftsmen. The collections include contemporary artwork, carpets and handicraft from Gyumri, all items typical to a rich Gyumri family. In the second room, photographs of old Gyumri and 19th century maps of old Alexandropol are displayed. The room has an odd display of keys on the wall, as well as a very well-done diorama of the old city.